Net weight with filters: 125 lbs. 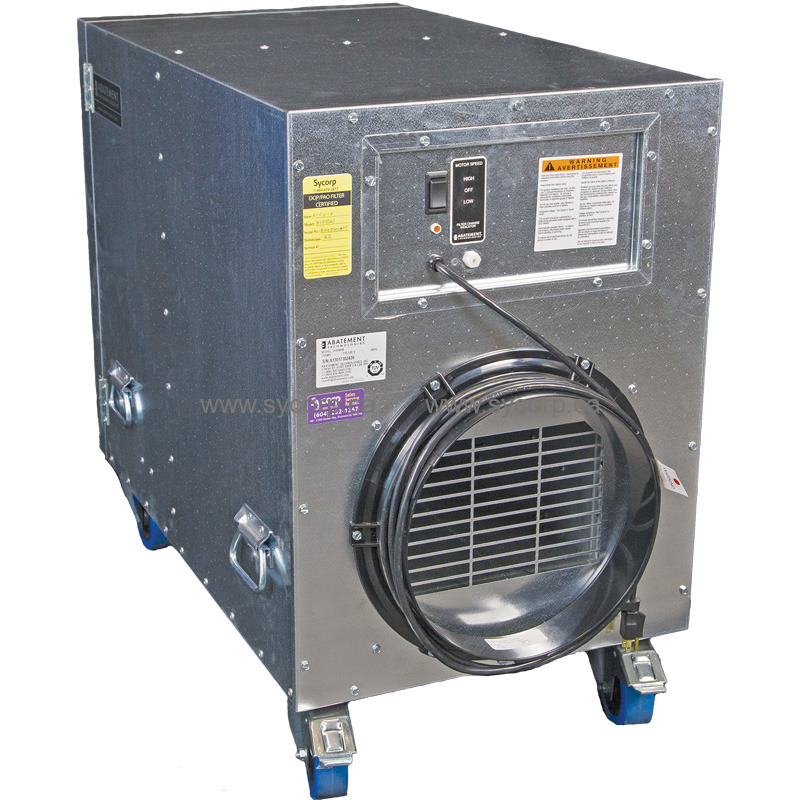 Power supply requirements: 120 volts AC, 60Hz, 15 amp circuit. Normal operating amps: 9.0 amps or less. Operational sound level: High speed: 73 dBA at intake & sides, 83 dBA at exhaust. Low speed: 68 dBA at intake & sides, 77 dBA at exhaust. Readings taken at a distance of 5 feet. 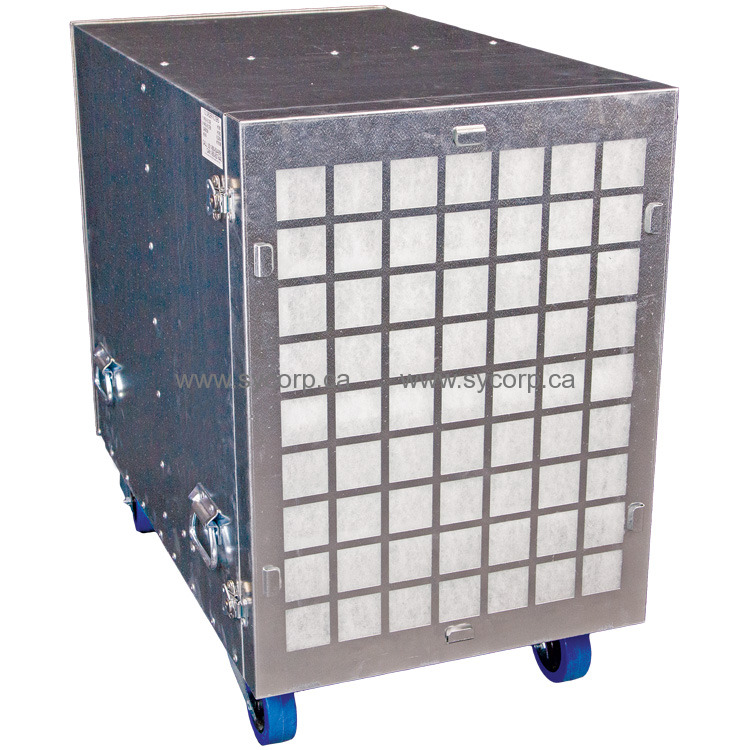 Transportability: 2 each removable 4", 360⁰ swivel casters with locking feature. 2 each removable 4"", fixed position casters. Note: Airflow ratings estimates are based on factory and independent testing @ 120 VAC with an air straightener and a traverse of readings taken with a computing vane-anemometer. Actual results may vary for various reasons, including motor and blower and HEPA filter tolerances. 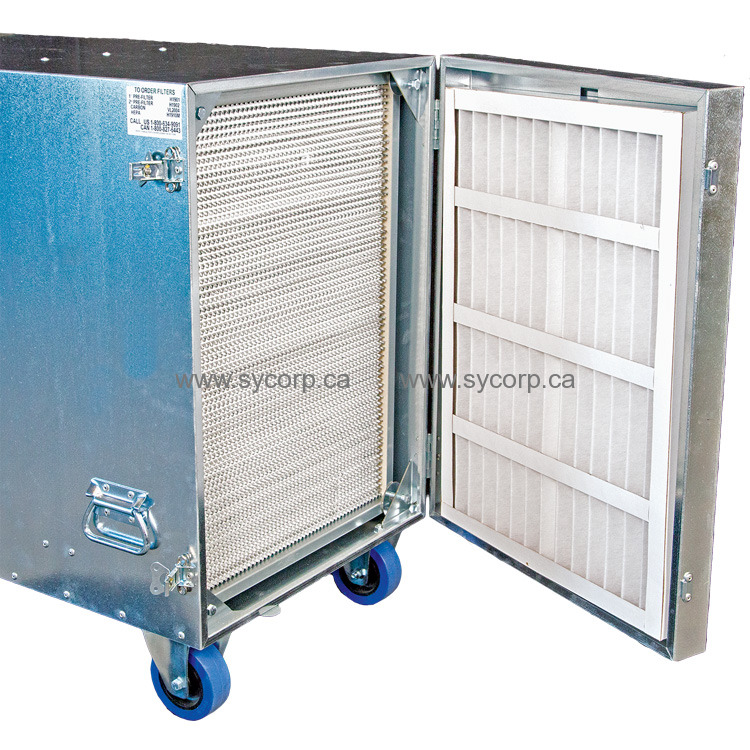 Factors such as filter loading, reduced voltage to the motor, and inlet and outlet ducting will reduce airflow. Use these ratings as a general guideline only.